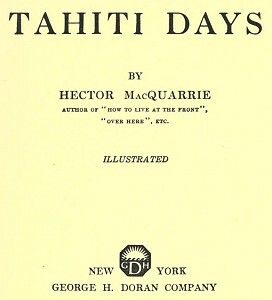 Hector MacQuarrie : Tahiti, 1920. George H. Doran Company, New York, . There is not referenceto surf riding in the text, however there are two applicable photographs. 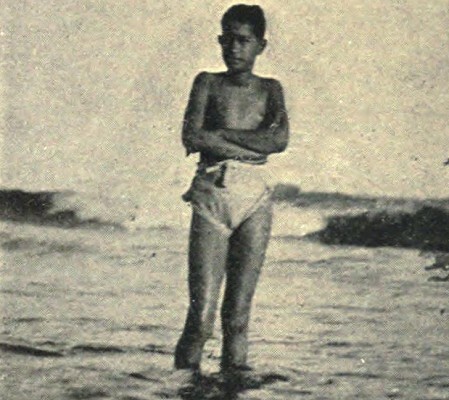 Unfortunately, in the photograph the boy on page 141 does not show his surfboard, as indicated by the caption. he was returning when I caught him with the camera. 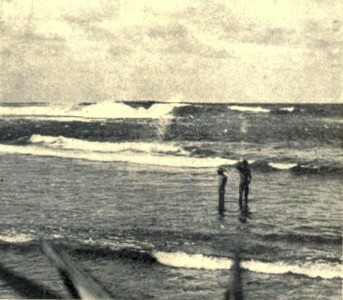 From the heavy swell breaking in the background it can be gathered that Papara is situated on the windward side of the island. The lagoon stretchIng on each side, but not seen in the picture, seeks an outlet at this point, and a fierce current of half salt water undermines the breakers which collapse in a mass of angry surf. The fresh-water stream, interfering with the work of the coral insect, has created a pass in the reef. 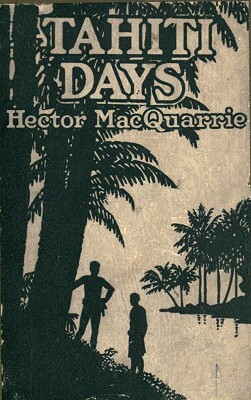 Geoff Cater (2013) : Hector MacQuarrie : Tahiti Days, 1920.